Most papers full text on ResearchGate and AcademicEdu. Farrimond, H., Boyd, K. & Fleischer, D. (2018) Reconfiguring the violent encounter? Preloading, security staff and breathalyser use in the night-time economy. International Journal of Drug Policy, 56: 108-115. Smith, G. & Farrimond, H. (in press) Active ageing, emotional care and the threat of stigma: Identity management in older adults using sleeping medication long-term, Health: An Interdisciplinary Journal for the Social Study of Health, Illness and Medicine. Wilkinson, K., Boyd, K., Pearson, M., Farrimond, H., Lang, I.A., Fleischer, D., Poole. A., Ralph, N., and Rappert, B. (in press) Making sense of evidence: Using research training to promote organisational change. Police Practice and Research. Farrimond, H. (2017) A typology of vaping: Identifying beliefs, motivations for use, identity and political interest amongst e-cigarette users, International Journal of Drug Policy, 48: 81-90. Boyd, K., Farrimond, H., and Ralph, N. (2018) The impact of breathalysers on violence and attitudes in the Night-Time Economy, European Journal of Criminology (in press). Farrimond, H. (2017) The ethics of research, The Bera/SAGE Handbook of Educational Research, Eds: Dominic Wyse, Emma Smith, Larry E. Suter and Neil Selwyn. SAGE Publications: Thousand Oaks, CA. Farrimond. H. (2016) E-cigarette regulation and policy: UK vapers' perspectives, Addiction, 111 (6): 1077-1083. Farrimond, H. & Kelly, S.E. (2013) Public viewpoints on new non-invasive prenatal genetic tests, Public Understanding of Science, 22 (6): 736-750. Farrimond, H. (2013) Doing ethical research, Basingstoke UK, New York, US, Palgrave Macmillan. Farrimond, H. (2012) Beyond the caveman: Rethinking masculinity in relation to men's help-seeking. Health: An Interdisciplinary Journal for the Social Study of Health, Illness and Medicine, 16 (2): 208-225. Saukko, P.S., Farrimond, H.R., Qureshi, N. & Evans, P.E. (2012) Beyond beliefs: Risk assessment technologies shaping patient experiences of heart disease prevention, Sociology of Health and Illness, 34 (4): 560-575. Kelly, S.E. & Farrimond, H.R. (2012) Non-invasive prenatal genetic testing: A study of public attitudes. Public Health Genomics, 15 (2): 73-81. Farrimond, H., Joffe, H., & Stenner, P. (2010) 'A Q-methodology study of 'smoking identities'', Psychology and Health, 25 (8): 979-998. Farrimond, H., Saukko, P.M., Evans, P.H. and Qureshi, N. (2010). 'Making sense of being at ‘high risk’ of coronary heart disease', Psychology and Health, 25 (3): 289-304. Qureshi N., Armstrong S., Saukko P., Sach T., Middlemass J., Evans P.H., Kai J., Farrimond H. and Humphries S.E. (2009). 'Realising the potential of the family history in risk assessment and primary prevention of coronary heart disease in primary care: ADDFAM study protocol', BMC Health Services Research, pp. 9-184. Farrimond, H. and Joffe, H. (2006). 'Pollution, peril and poverty: The stigmatisation of British smokers', Journal of Community and Applied Social Psychology, 16 (6): 481-491. Wardle, J., Jarvis, M.J., Steggles, N., Sutton, S., Williamson, S., Farrimond, H., Cartwright, M. and Simon, A.E. (2003). 'Socioeconomic disparities in cancer-risk behaviors in adolescence: baseline results from the Health and Behaviour in Teenagers Study (HABITS)', Preventive Medicine, 36: 721-730. ESRC IAA Project Co-creation Award, '#RU2Drunk? Evaluation of the roll-out of a breathalyser initiative to reduce alcohol-related violence in the South West, July-Dec '16, PI Hannah Farrimond and Katharine Boyd, Collaborators Devon and Cornwall/Dorset Police Strategic Alliance, £19, 787. Reframing stop smoking services in response to e-cigarette use: An exploratory stakeholder study', Cancer Research UK, PI Dr Hannah Farrimond, Collaborator Prof. Charles Abraham, 18 months, start March 2016, £43,000. Police Knowledge Fund ExPERT (Exeter Policing, Evidence and Research Translation) Project, Start date Sept 2015, 18 months, Co-I, £249,450. Richard Benjamin Trust, 2011, 15 months, 'Understandings of Type 2 diabetes in 'at risk' families'. PI. Brocher Foundation, Geneva, 2010, 'New developments in non-invasive prenatal genetic testing: Ethical, legal and Social implications, a pluridisciplinary symposium, fully funded. Co-PI. #RU2Drunk? Evaluation of the roll-out of a breathalyser initiative to reduce alcohol-related violence in the South West, July-Dec '16, PI Hannah Farrimond and Katharine Boyd, Collaborators Devon and Cornwall/Dorset Police Strategic Alliance, £19, 787.ESRC IAA Project Co-creation Award. This project extends an evaluation of a pilot breathalyzer scheme in Torquay conducted with South Devon police and DCI Neil Ralph which found almost a 40% reduction in violent crime during the month long trial. Initial research showed that some bouncers/door staff though the breathalyzers 'reconfigured the violent encounter' at the doors of pubs and clubs. This subsequent grant looks at the roll-out of the scheme in a location in Dorset (Weymouth) and across a number of locations in Devon and Cornwall (follow-up in Torquay and Truro), evaluating not only the effectiveness of the scheme in terms of crime figures but also its acceptability to the stakeholders (door staff, licensees and managers, the general public) as well as reflecting more widely on the use of new technologies in the surveillance environment of the current UK night-time economy.Two reports, useful for police forces considering introducing such schemes, can be requested from Dr Farrimond. 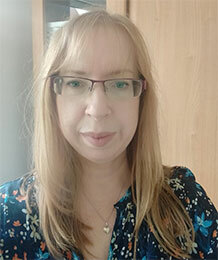 Reframing stop smoking services in response to e-cigarette use: An exploratory stakeholder study, Cancer Research UK, PI Dr Hannah Farrimond, Collaborator Prof. Charles Abraham, 18 months, start March 2016, £43,000. Police Knowledge Fund ExPERT (Exeter Policing, Evidence and Research Translation) Project, Start date Sept 2015, 18 months, Co-I, £249,450. Funding from the College of Policing and HEFCE. This project involves staff members from the University of Exeter and the Devon and Cornwall Police Force working together to build capacity in evidence-based policing (Boyd, Rappert, Farrimond, Lang, Pearson). My particular role has focused on delivering training in evidence-based policing workshops, particularly in qualitative methods and research ethics. I have also led the workstream on Addiction, leading to the successful application of the #RU2Drunk project, as well as a police/academic writing collaboration on research ethics. The project has an international dimension, with the addition of an ESRC Impact grant to collaborate with the South African Police through the Institute for Security Studies, where a joint Evidence-Based policing workshop will be held. Q-Step Centre for Quantitative Methods at the University of Exeter (£1.2 million), start 2014 for five years, Academic Lead for SPA department. 2008-2011 Daniele Carrieri, (co-supervisor) 'Neurofibromatosis Type 1 (NF1): Patients and Families Experiences and Health Care System Management of a Complex Genetic Syndrome’ University of Exeter. Georgia Smith, 1 + 3 ESRC studentship on Sleeping medication use in older adults: Medicalization, identity and resistance. Louise Toller, 1 + 3 ESRC studentship on Narratives of liminality and identity in chronic health conditions in student populations. Courtney Buckler, 1 + 3 ESRC studentship on The role of evidence-based practice discourses in medical training and practice. Rosanna Mead, PhD candidate on An ethnography of music-making on dementia-friendly wards. My PhD in Psychology on 'Smoking Identities in Higher and Lower Socio-economic Groups in the UK' was awarded in 2007 by UCL.